Thank you for visiting the Windsor Fair. We look forward to your return again August 25th to September 2nd 2019. 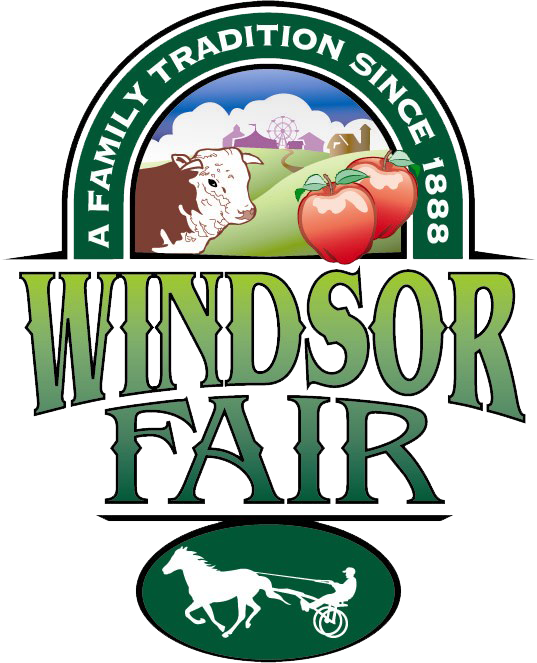 The Trustees of the Windsor Fair are interested in obtaining a design suitable for reproduction on posters and t-shirts to be sold at the Windsor Fair. Artwork should reflect some aspect of this traditional agricultural fair. The selected entry will receive a prize of $1,000.00. The Windsor Fair will retain all rights to the design. Additional information may be obtained by calling Karen Foster at: 207-622-2930. There will be a separate category of posters for ages 16 and under. The best will receive honorable mention and a check for $50.00. Are you searching for an event to relieve your summer boredom? A trip to the Windsor Fair will do the trick. The Windsor Fair is opening again next summer, and you won't want to miss out on all the fun we have planned. Our fair is more than 50 acres of amusement. Your friends and family will enjoy a fun day together while visiting our many attractions. You can even participate in some of our events. From daily shows to a large animal exhibit, everyone can find something to love at the Windsor Fair. Our 2019 season runs from Aug. 25 to Sept. 2. Visit us as soon as we open to enjoy all that the Windsor Fair has to offer. Plan a visit to the Windsor Fair. Monster Trucks will return again for the 2019 season. Copyright © 2019 Windsor Fair, all rights reserved.